Visit And Support Local Comics Retailers On May 7th To Receive Two FREE Samplers Featuring POKÉMON POCKET COMICS, ONE-PUNCH MAN And MY HERO ACADEMIA! 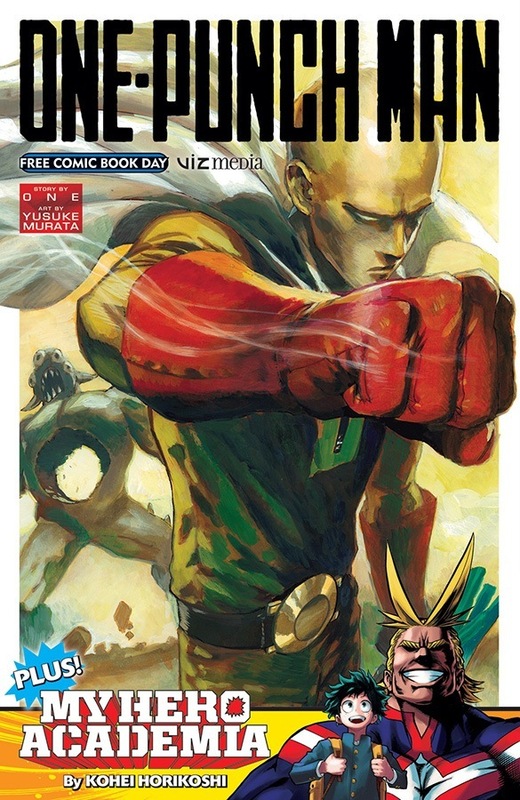 VIZ Media announces its continued support and sponsorship for FREE COMIC BOOK DAY with a pair of special FREE manga (graphic novel) samplers that will include excerpts from VIZ Media’s newest POKÉMON POCKET COMICS: LEGENDARY POKÉMON release as well as a Shonen Jump sampler containing action-packed excerpts from ONE-PUNCH MAN and MY HERO ACADEMIA. Scheduled for Saturday, May 7th, 2016 at thousands of locations nationwide, Free Comic Book Day is an annual promotional campaign developed by the North American comic book industry to help bring new readers of all ages and interests into independent comic book stores. Free Comic Book Day began in 2002 and is coordinated by the industry's single largest distributor, Diamond Comic Distributors. Readers should visit freecomicbookday.com to find local participating retailers in their area. VIZ Media participates this year as a Gold Level Sponsor and offers the following two FREE exclusive releases (available while supplies last). 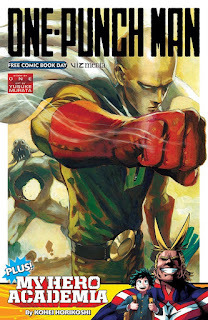 Check out the superhero action of two smash hit titles from VIZ Media’s Shonen Jump imprint—ONE-PUNCH MAN and MY HERO ACADEMIA. For more information on these and other manga titles published by VIZ Media, please visit: www.viz.com.